The Wessex Range of GRP White Gloss and GRP Woodgrain garage doors has been designed to enhance the appearance of every style of home from the traditional to the modern. 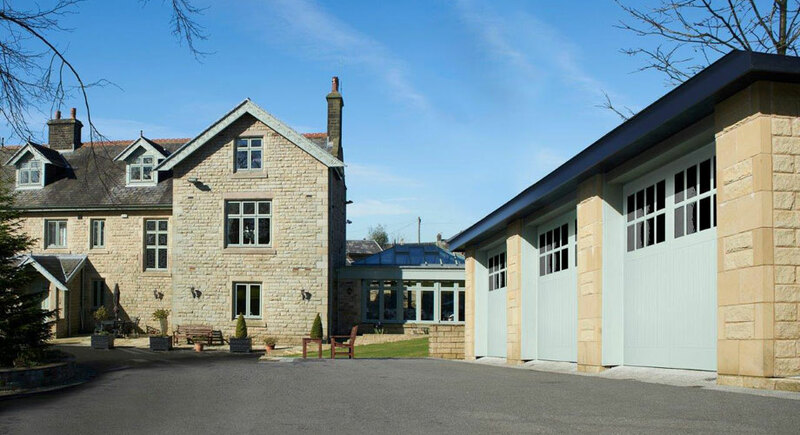 With the most extensive range of Up & Over and sectional garage door designs and made to measure sizing. Convenience, safety and security, at the touch of a button. GRP Gloss White Up & Over Garage Doors. GRP Woodgrain Up & Over Garage Doors. The new Platinum range of side hinged doors in Gloss white and Woodgrain finishes. The perfect match for contemporary house designs.